Our Rosehip Seed Cleanser is the highest quality that you'll find in any high end department store or salon. Rosehip Oil is the active ingredient and offers extensive benefits to the rejuvenation process and maintained health of your skin. * Rich in Vitamin A, C, E and F, it helps restore a firmer, smoother and younger looking appearance. 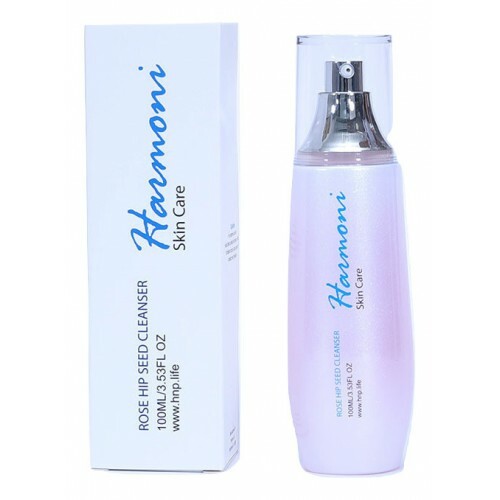 * Harmoni’s Rosehip Seed Cleanser helps deliver skin nourishing, and collagen boosting vitamins in an invigorating and rejuvenating wash.
* Rosehip Seed Oil has been used for its healthy benefits throughout history by the Mayans, Native Americans, and ancient Egyptians.